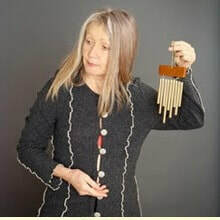 Elfi Six embraced the Transformational Healing Modality of ACUTONICS (Sound Healing) while she was an Instructor and Practitioner of Shiatsu in 1999. Her keen observation and compassionate listening in a session allows a change in energy dynamics to take place. People have reported changes/improvements in alignment, mood, and well-being. "Sound has the power to heal our wounds, ignite our spirit, change consciousness, and re-unite us with the divine harmonics and rhythms of the universe." 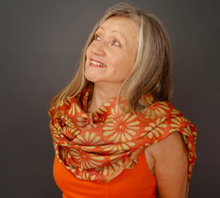 Elfi Six, L.M.T., is a licensed Acutonics® Teacher for Level I-IV, a Certified Practitioner of Asian Bodywork (AOBTA), a Certified Movement Analyst, CMA, and owner of www.CosmicResonance.com. As an Acutonics teacher, she leads classes every year for appropriate levels of the Acutonics certification program. In 1984 Elfi moved from Berlin to Washington, D.C., and then to New York City. 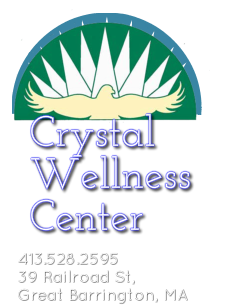 She has lived in the Berkshires of Massachusetts since 2000, and she has been practicing Shiatsu since 1981. In 1986, she received her certification as an Ohashiatsu Instructor, and for seven years she taught all levels of the curriculum internationally for the Ohashi Institute, NY. In 1990 she graduated from the Laban Institute in NYC as a Certified Movement Analyst (CMA), an educational element in her bodywork practice. She is nationally certified in Massage and Oriental Bodywork. She is a Certified Practitioner of Asian Bodywork (AOBTA).